Production Time 5 business days. Please call for rush orders. Express shipping options available at check out. Production times are usually firm, but may vary depending on production schedules. Setup Charge $39.50 per ink color. 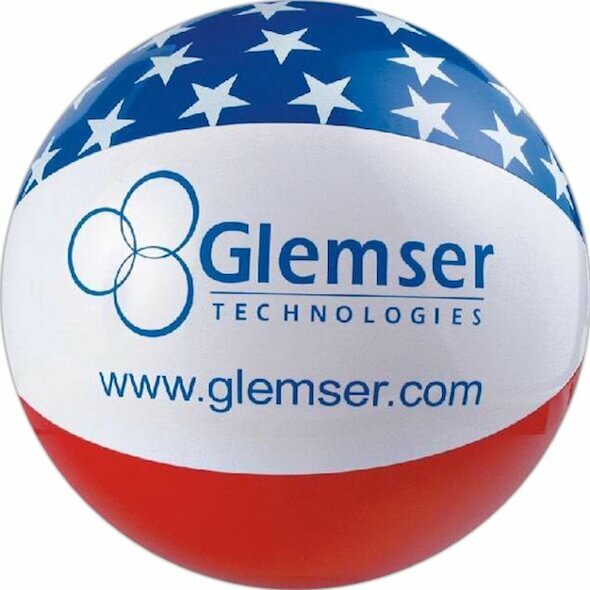 Was just browsing through your site getting ideas for an upcoming event and remembered these awesome patriotic beach balls you did for us last June/July. The event was a huge hit, and the printing was amazing. Thank you! I have been a fan since!